TORONTO: Canada's natural resource minister said Saturday his government is happy the Keystone XL pipeline has finally been approved by the White House, but he noted that obstacles remain and said Canada remains determined to diversify its oil exports beyond the United States. The minister, Jim Carr, told The Associated Press that President Donald Trump's approval of the pipeline is "good news." But he said there are other important projects like the recently approved TransMountain pipeline that will allow for exports to Asia. Ninety-eight percent of Canada's oil exports now go to the U.S.
"We want to ensure we have access to Asian markets," Carr said in a telephone interview. "We want to ensure we have more than one customer, as much as we love Americans." Canada needs infrastructure to export its growing oil sands production. Alberta has the third-largest oil reserves in the world and is America's largest supplier of foreign oil. Keystone XL would carry more than one-fifth of the oil Canada exports to the United States. 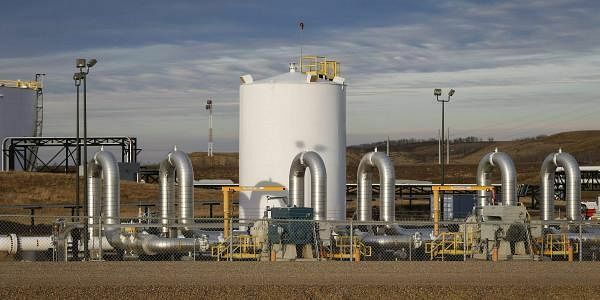 The pipeline owned by TransCanada received a presidential permit Friday, but Carr said he expects protests and noted it still needs a permit from the state of Nebraska. He's heard the Nebraska process could take eight months. "Canadians aren't going to go down there and tell state legislators what to do. They have their own process. We'll respect that," he said. "The objective is to make the point that the energy economies are integrated," he said. "So much of the Canadian interest is aligned with the American interest. Keystone XL is a good example of that." The 1,700-mile (2,735-kilometer) pipeline would carry roughly 800,000 barrels of oil a day from Alberta to refineries along the Texas Gulf Coast, passing through Montana, South Dakota, Nebraska, Kansas and Oklahoma. The presidential permit comes nearly a decade after Calgary, Alberta-based TransCanada applied to build the $8 billion pipeline. Keystone would strengthen U.S. energy security by increasing access to Canada's "dependable supply of crude oil," said the State Department. "The more pipeline capacity there is, the higher proportion of the oil will be moved by a safer method of transport," Carr said.